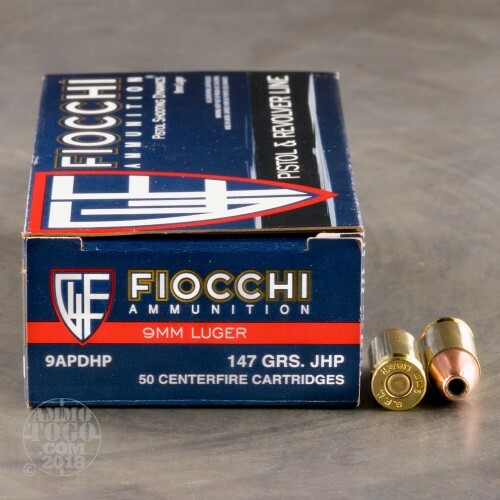 These 9x19mm Luger rounds from Fiocchi are an economical choice for personal defense use. 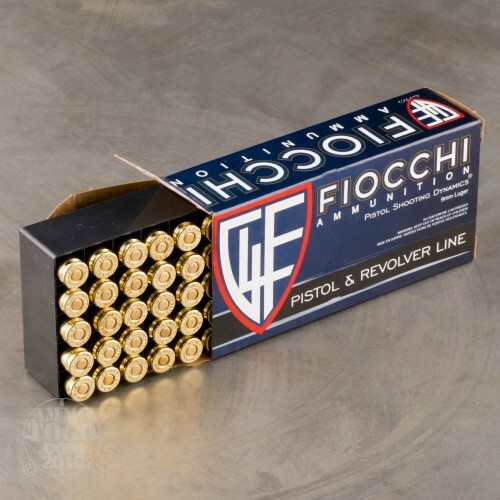 Fiocchi Munizioni is an Italian manufacturer with roots reaching back as far as 1876. 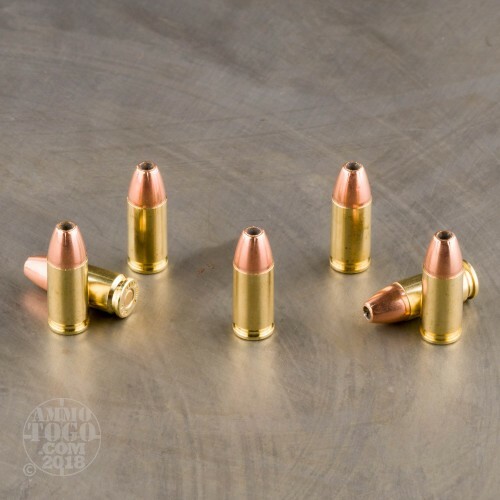 Their experience with ammunition production through many world conflicts as well as their current-day connections to competitive shooters and law enforcement has bestowed them with unmatched proficiency and expertise in the field. Each cartridge is assembled using a reloadable brass casing fitted with a non-corrosive Boxer primer. These particular 9mm rounds use 147 grain jacketed hollow-point (JHP) projectiles; 147 grains is a heavy bullet weight for the caliber and provides the best performance in terms of penetration, energy transfer, and smooth recoil impulse. 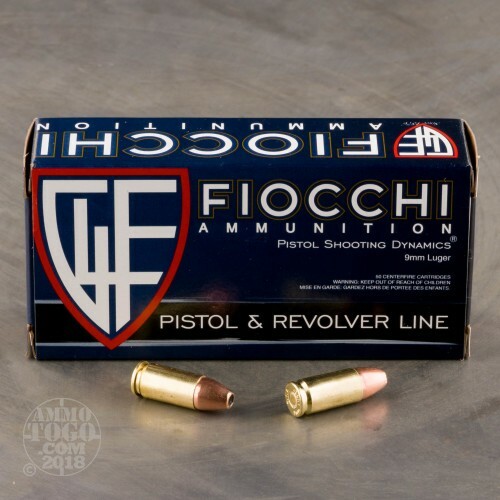 Fiocchi's JHP design incorporates a deep cavity, wide mouth, and small folds of copper jacket into the lead core at the tip which all combine to produce massive, threat-stopping expansion upon impact.